Just Beyond the City Limits of Chicago, rests the 63 south and southwest suburbs known as the Chicago Southland. The Chicago Southland is a convenient and affordable destination bursting with outdoor recreation, major attractions, fine dining, lodging and shopping. 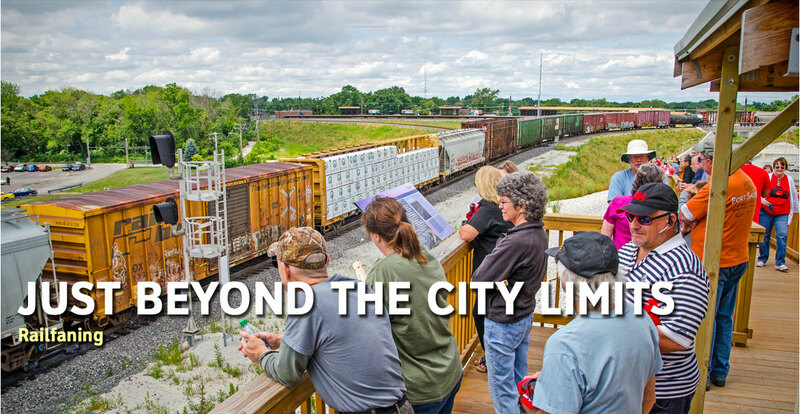 With interstates 55, 57, 80, 94, 294 and 355 running through the heart of the Chicago Southland and an abundance of rail options available, venturing around has never been easier! Unplug from your daily routine and reconnect with over 40,000 acres of forestry, countless miles of trails and the best waterways that cut through where the prairie landscape meets the industrialized urban environment. With over 14 nature centers in the Chicago Southland, outdoor recreation enthusiasts don’t have to travel far to find a trail to explore, lake to canoe, special event and educational program to attend or to simply enjoy the beautiful gardens and abundant wildlife opportunities. Team building is an integral component of any relationship. 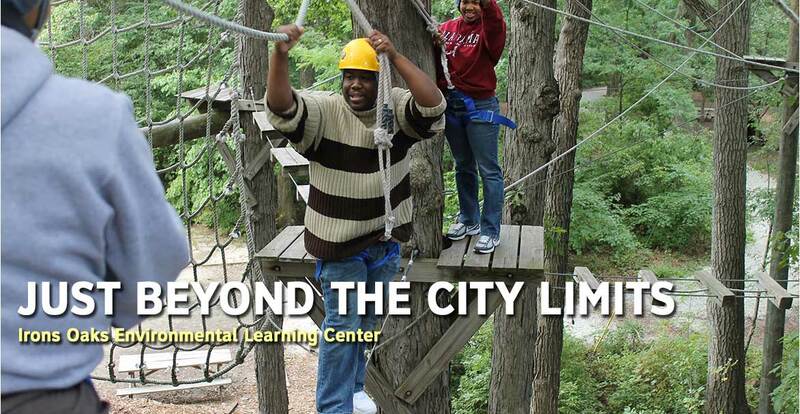 Irons Oaks Environmental Learning Center sits on 38-acres of team building atmosphere. With challenges like a high-ropes course, climbing wall and crate climbing, the emphasis is always on over- coming obstacles and developing the values of leadership, team building and problem solving. With a chorus full of are we there yets, unplanned restroom stops and the kicking of seats, family vacations can transition from fun, good ideas to rage inducing never agains. 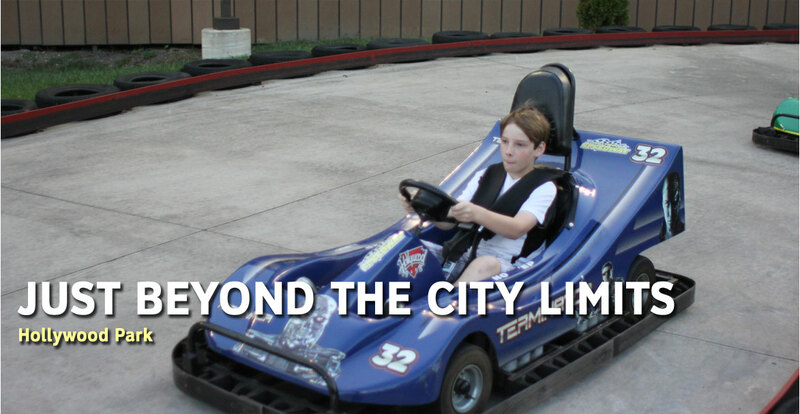 Have no fear; the Chicago Southland has a wide variety of family- friendly activities to turn your trip into a FUNcation. Whether it is zip- lining into fun at Odyssey Fun World, miniature golfing with the family at Ball Fore or Tinley Junction Miniature Golf and Batting Cages, climbing a rock wall at In the Game at Hollywood Park, hitting the go-kart track at Haunted Trails or Accelerate Indoor Speedway & Events, playing arcade games at Dave & Busters, taking in a hunting and show jumping equestrian competition at HITS Chicago-Balmoral Park in Crete or visiting the Children’s Museum in Oak Lawn or KidsWork Children’s Museum in Frankfort, the Chicago Southland has a multitude of family-friendly activities. As the catalyst for the beginnings of the Chicago Southland, golf has left its mark on the region. The “Summer Golf Capitol of Illinois” boasts over 600 holes of golf with a variety of nine- hole and 18-hole golf courses encompassing a wide range of skill levels. Getting teed-off in the Chicago Southland has never felt this good. Sports Fandom doesn’t just stop at golf. Sit in Section 8 at SeatGeek Stadium and cheer nonstop for a Chicago Fire Soccer Club victory. Enjoy Major League action at Minor League prices by catching a baseball game at Standard Bank Stadium with the Windy City ThunderBolts. With a multitude of railfan sights including double diamonds and one of the only places to see a double wye junction in the country, just minutes away from each other, it is easy to see why railfans love the Chicago Southland. Stop off and grab a pint at a brewpub in an old Illinois Central rail station. The Flossmoor Station Restaurant & Brewery offers a unique train themed décor and craft beer selection. Make sure to visit Illinois’ newest national treasure, Pullman National Monument. From the world’s first planned industrial town to finding itself on the brink of collapse during the mid 20th century, discover the faces and places that make Pullman National Monument a true diamond in the rough. Situated between the vibrant downtown area and the majestic Ravisloe Country Club, the Homewood Railroad Platform & Park is in the heart of the action in the Village of Homewood. The wheelchair accessible railroad viewing platform gives an elevated view of the three types of tracks that cross Homewood. The platform also plays a live audio feed from the switchyard. The Park Forest Rail Fan Park features a 35-foot elevated wheelchair accessible platform that overlooks a rare "highway cloverleaf interchange for trains." At both ends of the double track are wyes with a crossover between the tracks that permit trains to enter and exit the Park Forest cloverleaf in any direction. No matter what time of year you visit, the Chicago Southland always has a festival going on. Whether it is Snow Day Celebration at the Monee Reservoir in January, Irish Fest at Chicago Gaelic Park in May, Frankfort Fall Festival in September or Lansing Autumn Fest in October, you don’t have to turn far to find family-friendly festivals. Shopping aficionados unite in the Chicago Southland with regional shopping malls, a large indoor / outdoor Flea Market and well-developed downtown areas where visitors can park their cars and browse a variety of antique and specialty shops. It is easy to see the many “shopportunities” the Chicago Southland offers. Finding the perfect place to eat can be a very daunting task while travelling. Luckily, the Chicago Southland has many unique restaurants that will leave you satisfied. Whether you are looking for farm to table concepts, Chicago Style Pizza, fine dining, family dining or a sweet treat, the Chicago Southland offers something for everyone. Throughout the Chicago Southland’s 63 suburbs are fine and performing arts centers, art galleries, theater groups and an internationally recognized sculpture park. With plenty of cultural activities available, fans of the arts have ample opportunities to view world renowned works in all different mediums. Prairie State College, South Suburban College, Moraine Valley Community College and Union Street Art Gallery host exhibitions throughout the year featuring the works of regional, national and international artists, photographers and sculptors. Governors State University Center for Performing Arts in University Park and Moraine Valley Community College Fine & Performing Arts Center in Palos Hills present high-quality and affordable national touring acts, Chicago based artists and community programs in genres from jazz to opera, dance, theater and family favorites. Freedom Hall in Park Forest offers a diverse series of performances including dance, musical theater, stage plays and children’s theater. The Drama Group in Chicago Heights produces six fabulous shows annually, while the Oak Lawn Park District Community Theatre offers exciting Broadway musicals. The renowned Illinois Philharmonic Orchestra performs a full season of classical masterpieces. Drive the Dixie Highway through historic downtown Homewood to see the largest collection of Richard Haas Murals. Boasting over 14 murals depicting a life not long passed, visitors can experience a quaint downtown area where history meets innovation. Scattered throughout the 25 mile stretch of the historic Lincoln Highway, interpretive gazebos and nine murals help tell the story of America’s first coast-to-coast road. Jay Allen, owner of ShawCraft Sign Company, created the interpretive mural series and left secrets for visitors to find in each one. 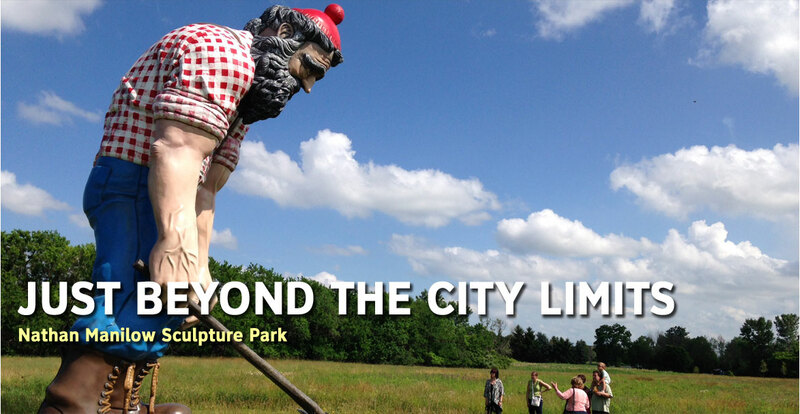 As one of only three sculpture parks in the nation, the Nathan Manilow Sculpture Park at Governors State University in University Park, features 29 master works of sculpture, nestled in over 100 acres of prairie landscape. Highlights include several important landscape-based sculptures created by distinguished artists at the height of their creative powers, a group of works by major late-20th Century American sculptors and a number of works representing Chicago-based artists. The Chicago Southland also boasts outdoor sculptures throughout the Village of Flossmoor and the Art Garden of Palos Heights. Stop painting the town beige when you can paint it red in the Chicago Southland. With a multitude of breweries, wine and spirit tastings, comedy clubs and concert venues, just minutes away from each other, the Chicago Southland is your source for Nightlife fun! 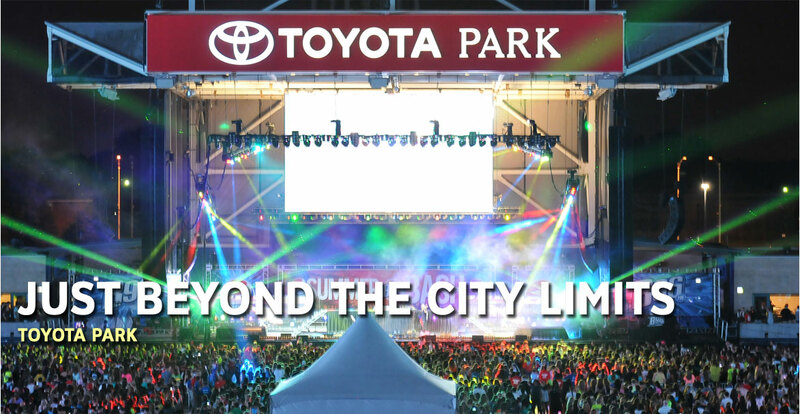 With outdoor venues like SeatGeek Stadium and The Hollywood Casino Amphitheater, the world’s biggest entertainment acts regularly come through the Chicago Southland. Craft Beer connoisseurs don’t have to turn very far to find a unique brewery offering award winning craft beers. Flossmoor Station Restaurant & Brewery offers a unique train themed craft beer selection and is housed in an old Illinois central rail station. 350 Brewing Company in Tinley Park is a nano brewery, specializing in small, hand- crafted batches of classic beer styles with a twist. Hailstorm Brewing Co. is a regional craft brewery with a full tap room offering a variety of rotating and seasonal craft beers. The Chicago Southland is also home to Evil Horse Brewing Company in Crete, Granite City Food & Brewery in Orland Park, One Trick Pony Brewery in Lansing and more. The Chicago Southland offers many adventures and cherished memories when you travel Just Beyond the City Limits.